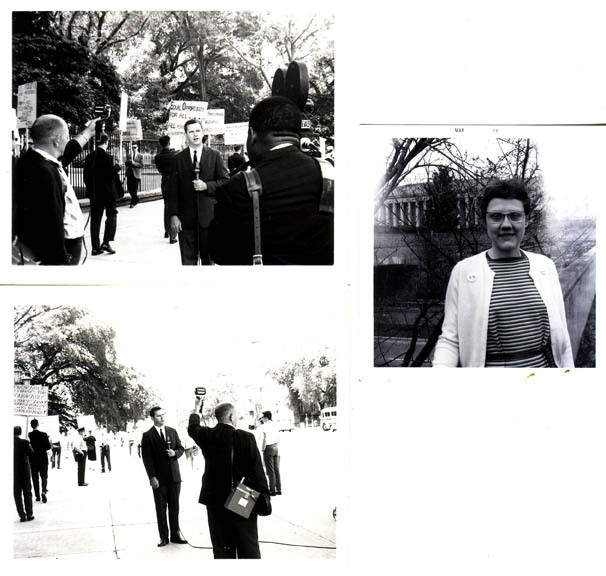 An assortment of political buttons from Frank's Collection! 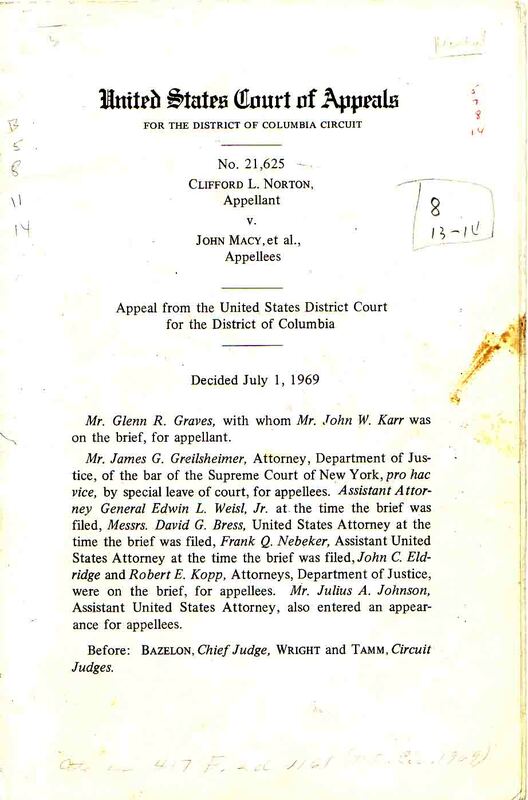 "Can't Fire Deviates, U.S. Told"
In reference to the Norton v. Macy appeal decision the previous day. 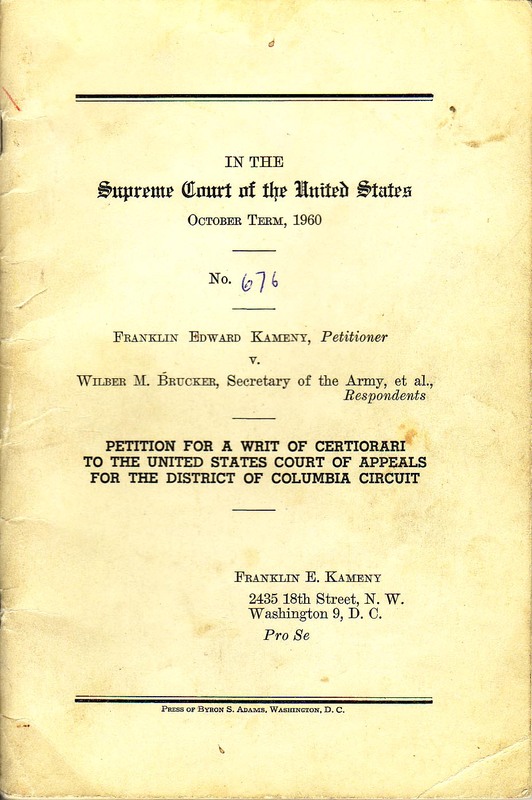 Petition for a Writ of Certiorari to the United States Court of Appeals, District of Columbia Circuit, in the case of Franklin Edward Kameny v. Wilber M. Bruckner, Secretary of the Army, et al. 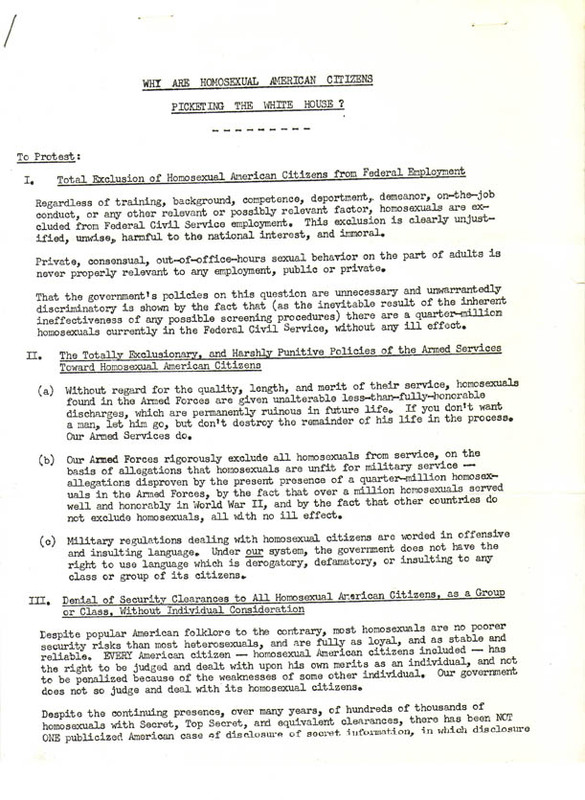 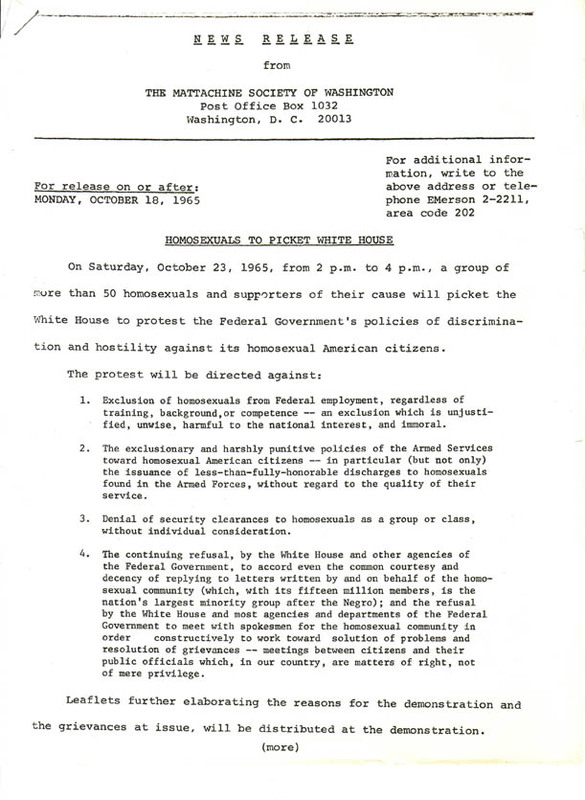 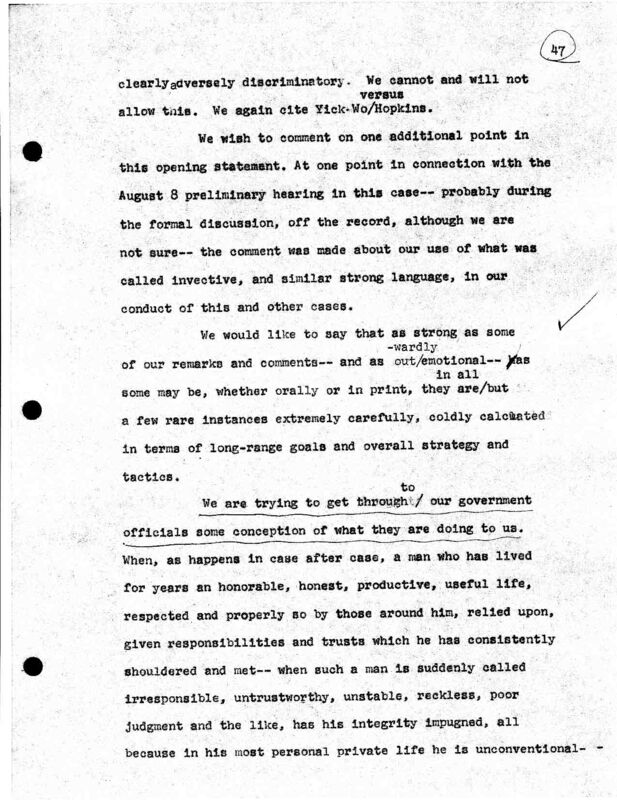 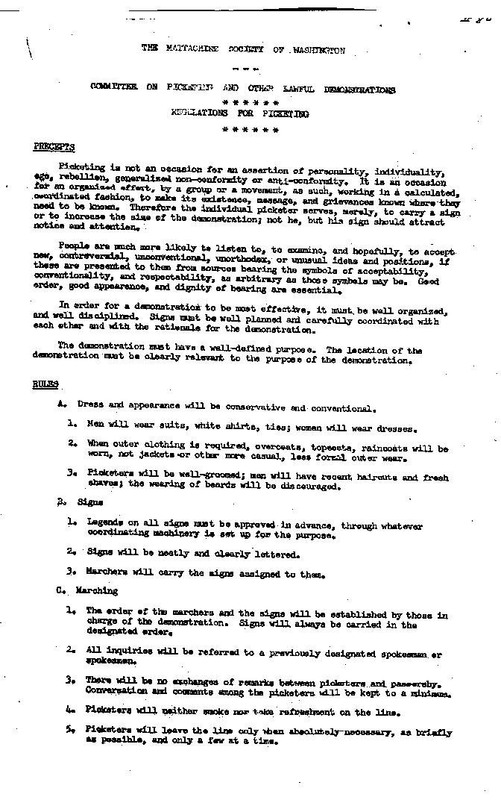 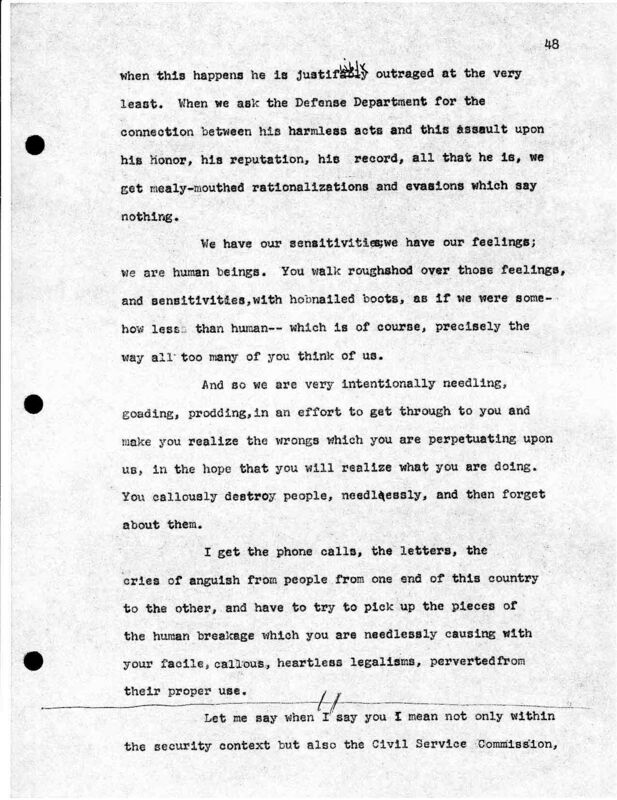 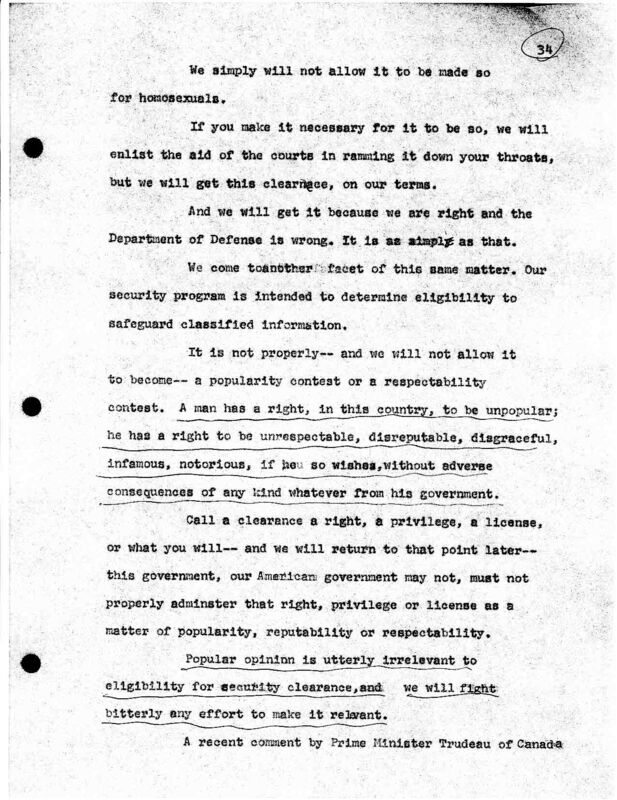 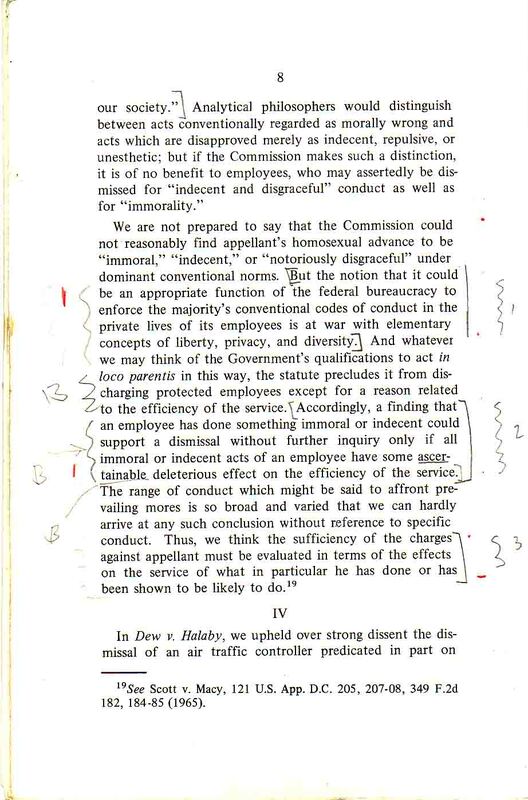 Hearing Transcript from the Department of Defense Investigation of Benning Wentworth, dated August 19, 1969.
from page 34: "A man has the right in this country to be unpopular." 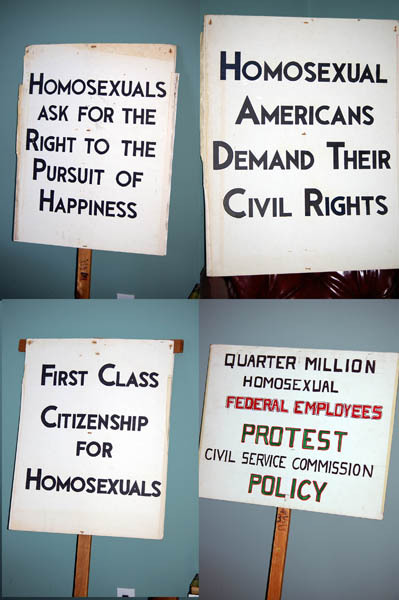 Assortment of actual pickets used in picketing of The White House; U.S. Civil Service Commission and Independence Hall in Philadelphia , 1965, 1966, 1968. 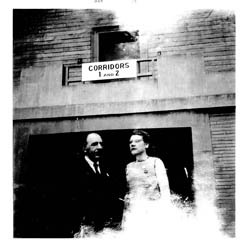 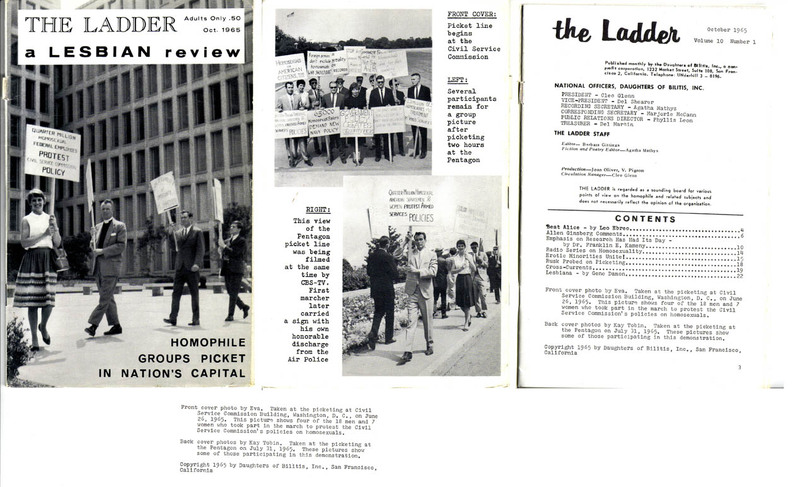 Photo of Dr. Kameny and Barbara Gittings, editor of the pioneering lesbian journal The Ladder. 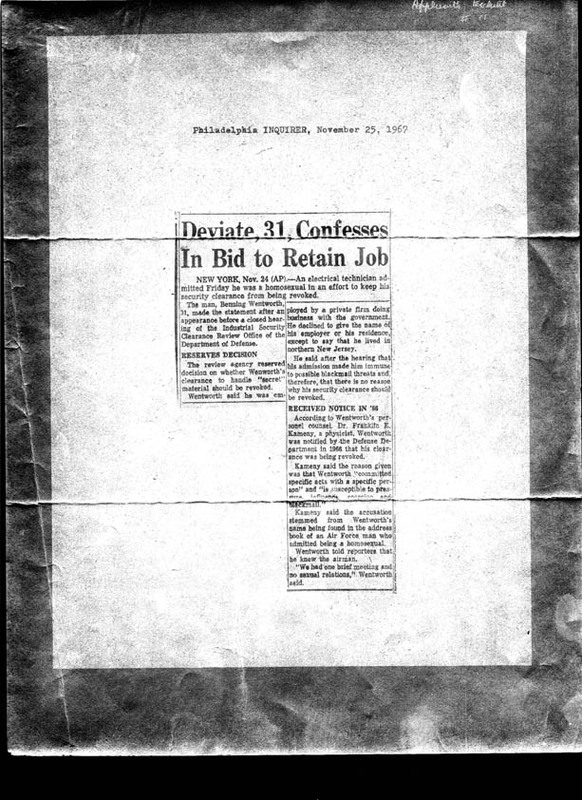 “Deviate, 31, Confesses In Bid to Retain Job”, Associated Press, 11/25/67. 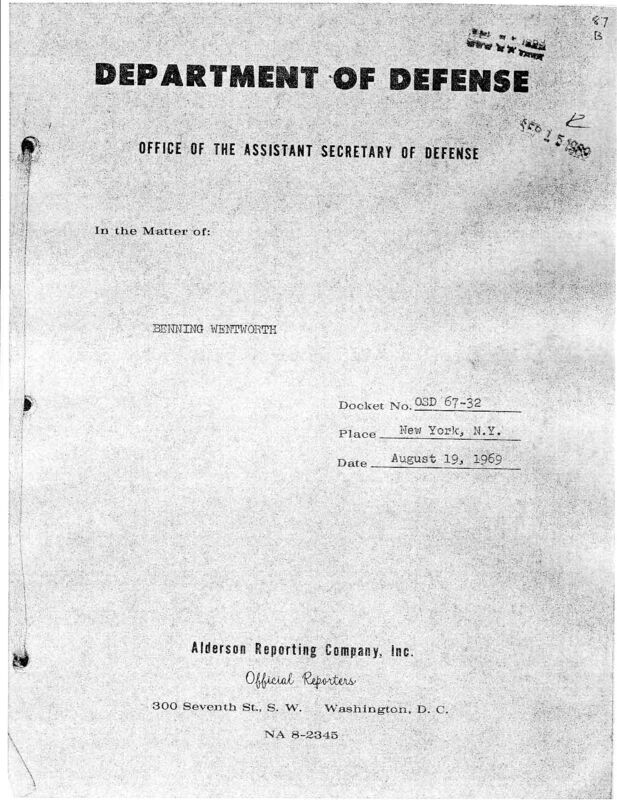 The “deviate” was Benning Wentworth, represented by Franklin Kameny. 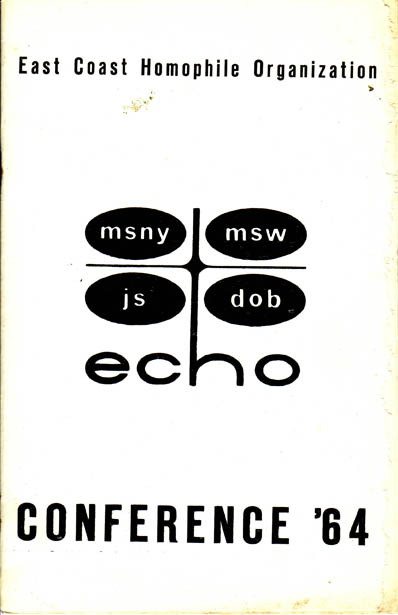 Memorabilia: Program, East Coast Homophile Organization (ECHO), Conference, 1964. 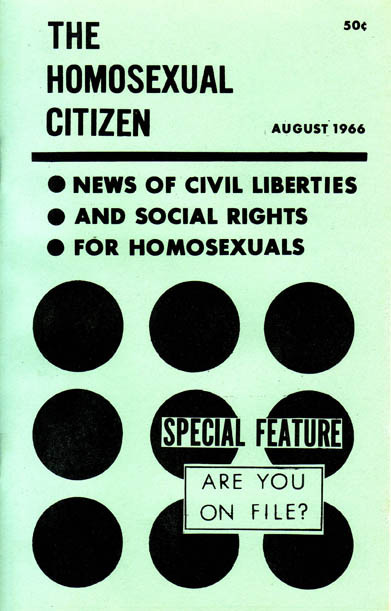 “The Homosexual Citizen”, August, 1966, published by the Mattachine Society of Washington , D.C.
Special Feature: "Are you on file?" 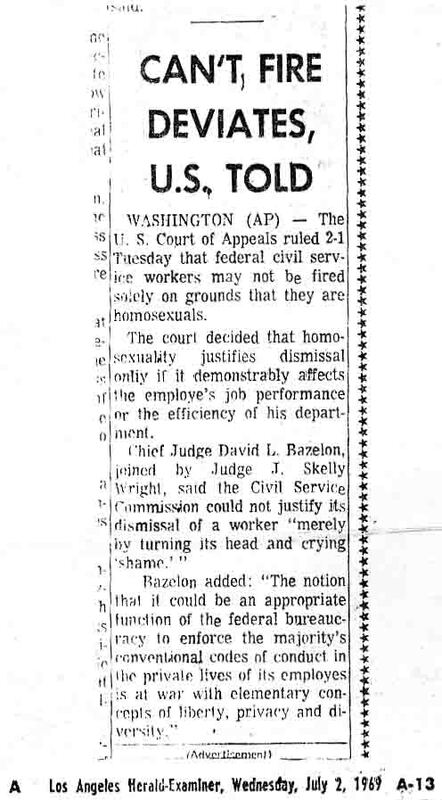 In 1971, Dr. Kameny became the first openly homosexual candidate for the US Congress when he ran in the District of Columbia's first election for a non-voting delegate to Congress. 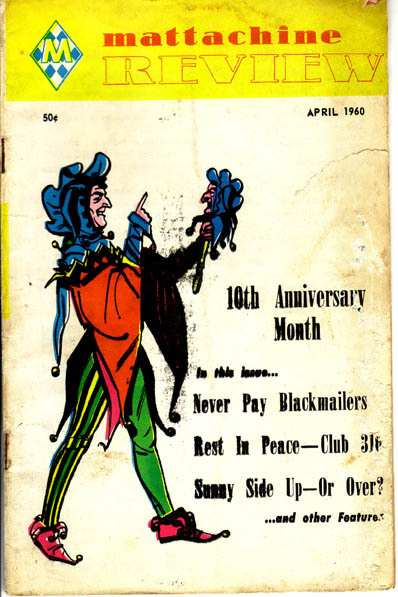 Special Feature: "Never Pay Blackmailers!" 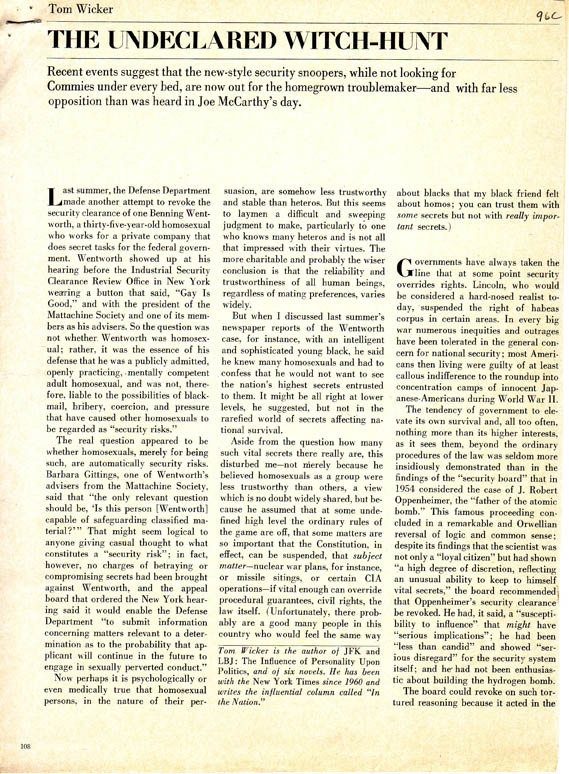 "The Undeclared Witch-Hunt”, by Tom Wicker, regarding Benning Wenworth, the Mattachine Society, and Barbara Gittings.